Craig has been providing financial advice for over 26 years. 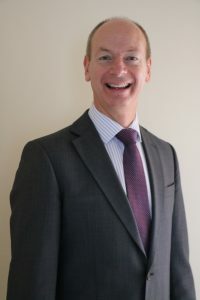 He previously worked at NatWest for over 30 years and in 2017 achieved the prestigious Advanced Diploma with the Chartered Insurance Institute becoming a Chartered Financial Planner. He takes pride in developing and maintaining relationships with clients, helping them achieve their financial goals with regular reviews. As a truly independent adviser he has the ability to offer ‘whole of market’ advice, which is of utmost importance in providing excellent service and delivering outstanding solutions to his clients. Craig brings a wealth of experience and knowledge helping advise all clients with investments, pension planning, protection and inheritance tax planning. Craig is also able to regularly review your existing plans to help you achieve your future financial goals. Craig lives in Cranleigh with his wife Sabina and his two daughters, Rebecca and Jessica. He enjoys sailing, swimming and playing squash in his spare time.